TANGRAM works on the cutting edge between architecture, urban design and public space design. 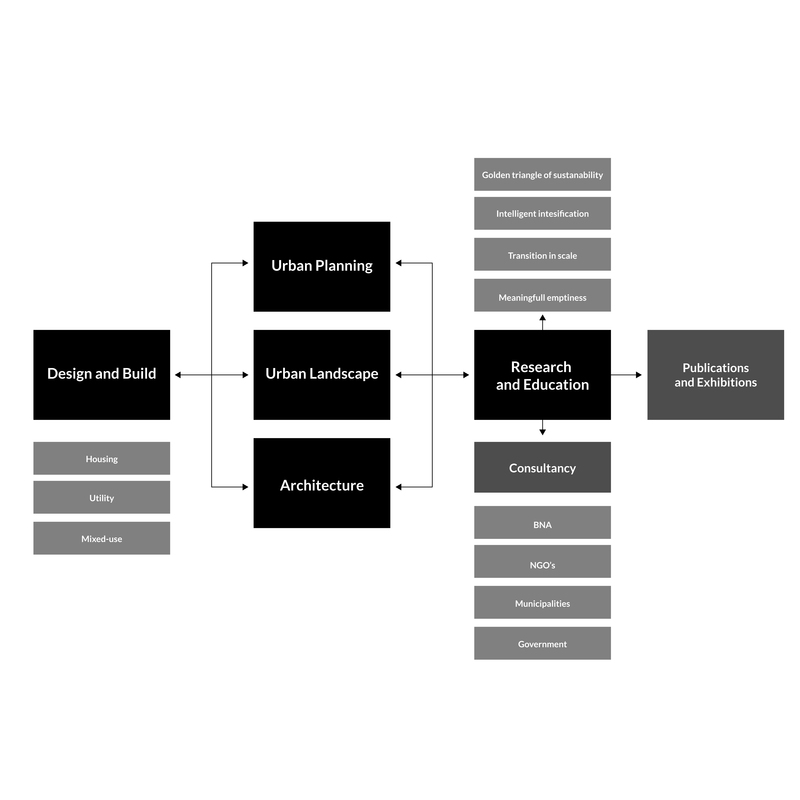 The combination of various scales and disciplines stems from the conviction that the best solutions for the urban context can be found along the interface between urban design and architecture. The office develops new visions and solutions for themes such as density, mixed-use, efficient land use, flexibility and adaptability, multipurpose use and sustainability in the widest sense of the word. In developing proposals for complex sites, TANGRAM has a wealth of experience that takes into account existing conditions, resident participation, integral solutions for public space, sustainability, infrastructure and buildings. Such an inquisitive approach always leads to location-specific plans. This research-oriented attitude has resulted in a new branch within the office: TANGRAM Research. TANGRAM works for municipalities, provinces, the central government, developers, housing associations and private clients. Important clients for research projects include various municipalities, provinces and the central government (Ministry of Housing, Spatial Planning and the Environment [now the Ministry of Infrastructure and the Environment] and the Central Government Real Estate Agency). TANGRAM works closely with NGOs such as environmental group Natuur en Milieu and Milieudefensie (Friends of the Earth) and various political parties – in order to contribute to the design of consistent visions of the built environment.